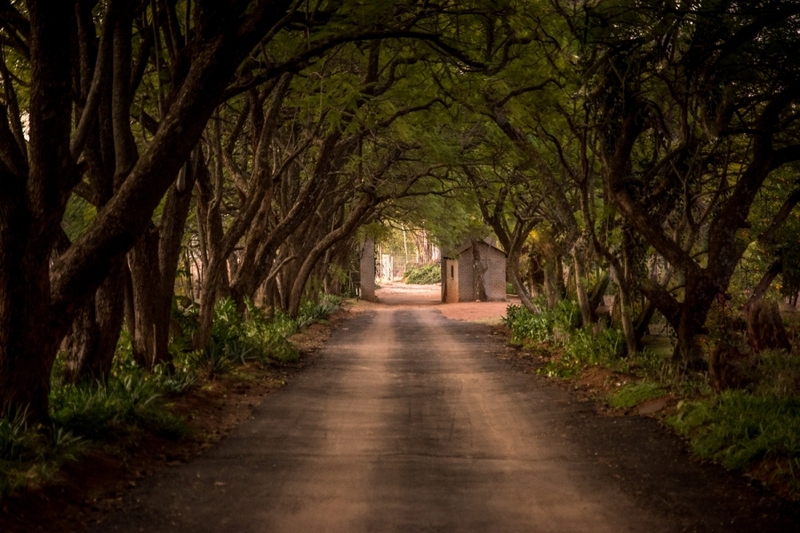 Nestled in the picturesque Waterberg mountain range approximately 70 minutes from Pretoria lies Modimolle (previously named Nylstroom), a bustling bushveld town. Named after the Sotho for the ‘God(s) have eaten,’ Modimolle and the surrounding Waterberg area boast plentiful free roaming game, birdlife and beautiful indigenous trees and plants. A characteristic feature here is the impressive Kranskop Mountain, a natural beacon rising above the surrounding landscape. It lies next to the N1 Highway that runs between Pretoria and Polokwane en route to the Kruger National Park. Nature and adventure enthusiasts need not travel far from home to experience a host of outdoor activities such as hiking, game viewing and abseiling. The Waterberg’s numerous activities, coupled with its mild year-round weather and warm dry winters have boosted its popularity among people looking to escape the city for a few days. Here, in the heart of Bushveld country on a 32-hectare farm 14 kilometres from Modimolle, lies a little piece of paradise. The 4-star Shangri-La Country Hotel & Spa, hidden in a tranquil tropical setting, reflects the elegant allure of yesteryear. Named after the mythical earthly paradise (described in British author James Hilton’s 1933 novel Lost Horizon), the term Shangri-La has become synonymous with any permanently happy paradise land isolated from the outside world. Guests wanting to escape the madness of modern life soon realise why the name is so fitting. Lush tropical gardens, a trickling waterfall and leafy stone pathways blend with luxurious pampering in 49 en-suite rooms to offer a delightful sense of tranquillity. In the open veld bordering this tranquil country hideaway hotel, wild monkeys and baboons play in the trees, while laid-back resident ducks and tame cats amble around. For couples, friends, families and small groups that enjoy peaceful natural surroundings, finding your own piece of paradise at Shangri-La is just an hour’s drive from Gauteng! Please note you will be redirected to the home page if your form has been submitted successfully.